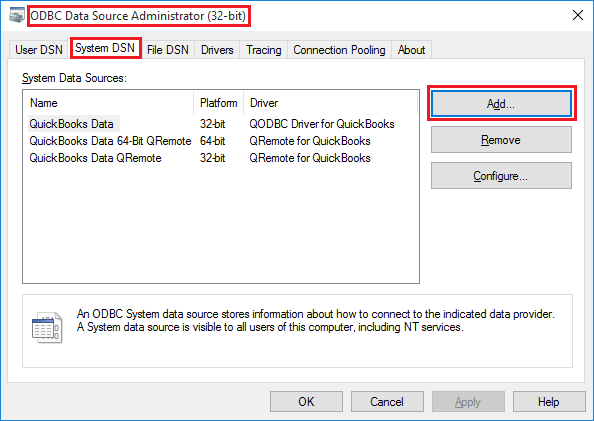 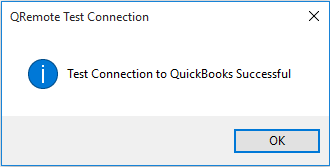 Click on the System DSN tab to create a DSN that can be called by both Windows applications and services. 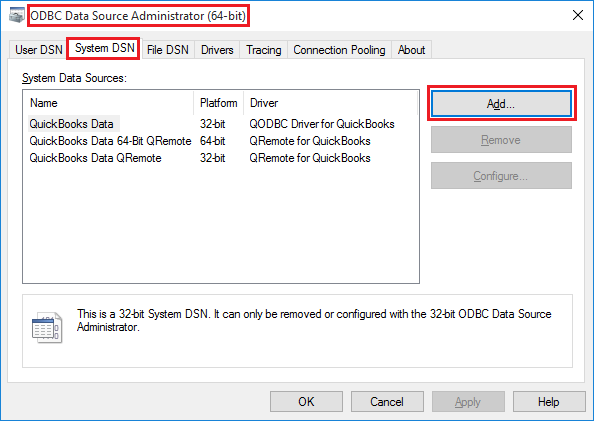 Click on the Add button to create a new DSN. 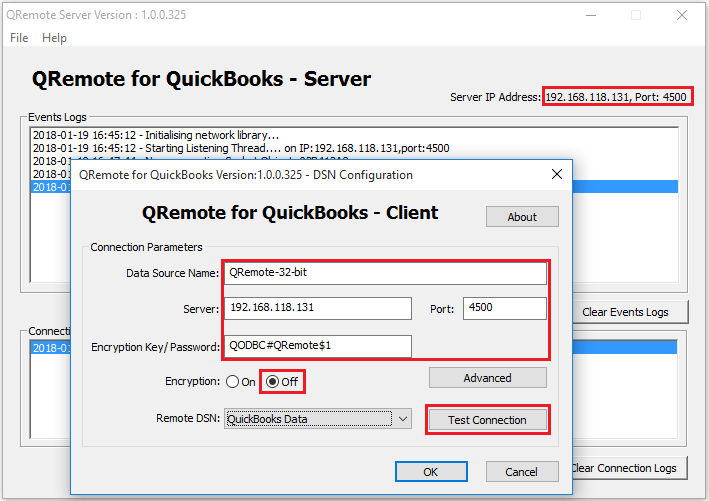 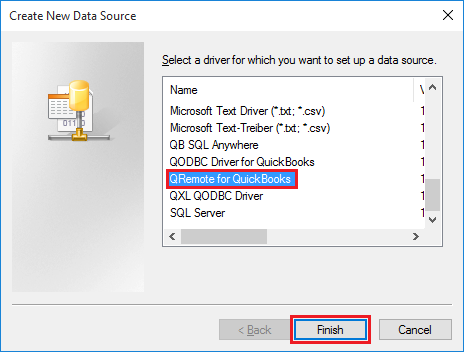 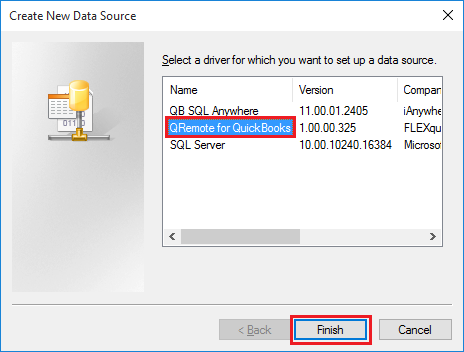 Select the QRemote for QuickBooks option and click on the Finish button. 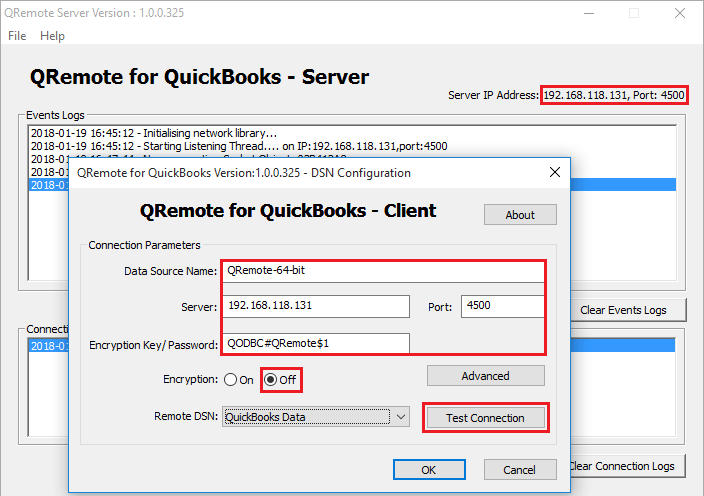 After filling all the details click "Test Connection" for testing the QRemote connection. 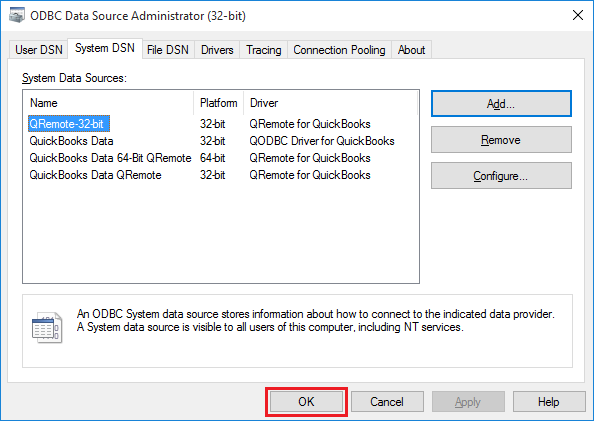 Click "OK" to save DSN configuration. 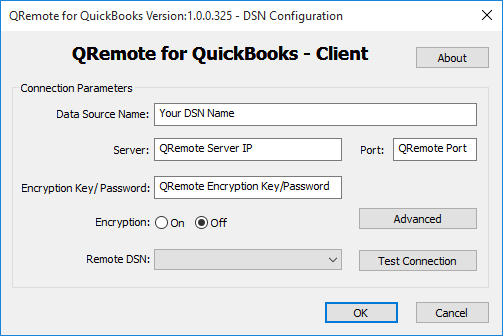 New DSN created. 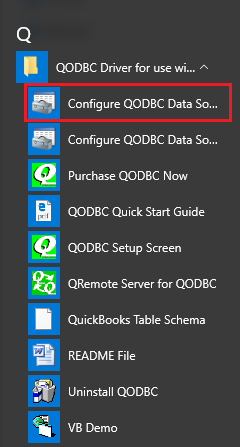 Close the ODBC Manager by clicking "OK". 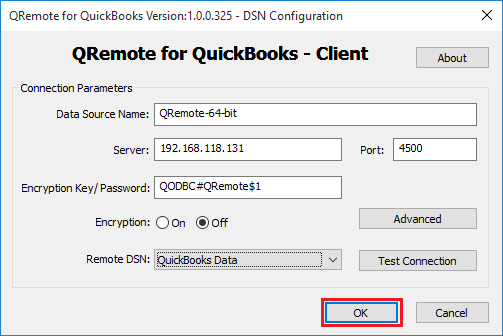 The new QODBC DSN has now been created. 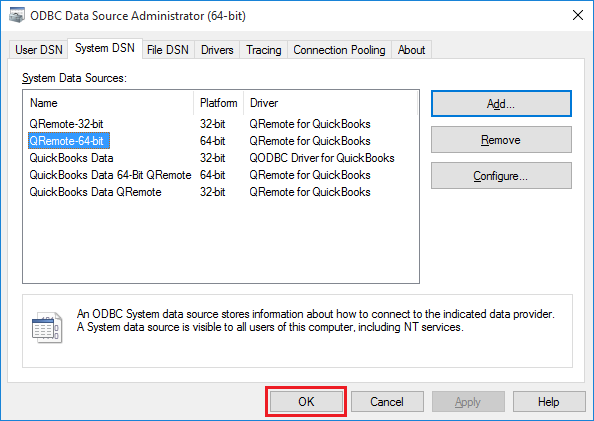 To modify the DSN anytime in the future, use the Configure button.